KF Mr. Karu Majestic 77 is sired by our foundation sire DR 300 out of a +JDH Karu 800 daughter. The dam to 77 is one of top producing donor females. He is a bull that will add uniformity to any program through his overall embodiment of Breed Character. 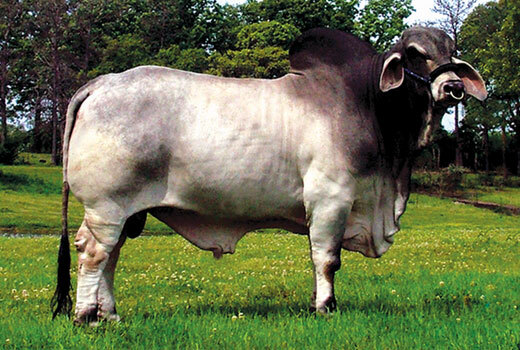 77 will produce offspring that will stand out in the pasture and the show ring. He is sound on his feet and legs and is one of the best traveling bulls in the breed.